In the contemporary West, “jihad” is in the ears and eyes of the listener and the viewer. There are those who have made up their minds that jihad is ideological warfare and brings in its wake wanton death and destruction. Isn’t this after all how Islamist extremist movements like al-Qaeda and ISIS understand jihad and isn’t this what their brutal activities proclaim? Such people who buy into the extremist version of jihad will therefore parse Dobb’s statement in the following way – Mueller’s investigation must be motivated only by ideological, partisan reasons and threatens to sabotage an orderly way of life. Jihad in the Quran is therefore a broad concept and refers in general to the human struggle on earth to live and flourish through one’s relationship with God and by doing good to one’s fellow beings in multiple ways. This struggle includes making the effort to cultivate and promote what is right and good and avoid and prevent what is wrong and harmful in relation to oneself and to others in all spheres of life. The implication of this fundamental moral and ethical imperative within Islam — “promoting what is good and preventing what is wrong or evil” – is wide-ranging. It means that Muslims must strive to realize what is beneficial for all human beings, not narrowly for themselves and certainly not for the purpose of promoting their self-interest at the expense of others. This kind of holistic striving in the name of jihad involves the human soul, intellect, conscience, and physical strength. Struggling to get up in the morning to earn a living in order to support oneself and one’s family is part of jihad. Combatting hunger, malnutrition, disease, corruption and illiteracy is part of jihad. Fighting against the evil impulses and temptations that we all experience in the deepest recesses of our being is part of jihad. And, yes, jihad may and does also involve armed combat against a relentless enemy. According to the Quran, if such an enemy attacks first, Muslims are permitted to defend themselves militarily but they may not initiate aggression. According to the sayings of the Prophet Muhammad (known as hadith) and the classical laws of warfare developed by Muslim jurists, non-combatants – typically women, children, the elderly, monks and hermits, indentured servants — may not be harmed during battle nor may crops, property, and livestock be destroyed. If the other side ceases to fight, Muslim soldiers must also lay down their arms. The military jihad is therefore limited and conditional; the moral and spiritual jihad continues as long as the individual is alive. The brutal destructive violence wrought by terrorist groups today in the name of Islam has nothing to do with jihad as described in the religion’s foundational texts. It is in fact “hiraaba,” – the Arabic term used by Muslim jurists for highway robbery and for other acts of violence intended to instill fear among the civilian population. A well-known hadith reminds us of yet another very important aspect of jihad. In this report, Muhammad says that one of the best forms of jihad is to speak a word of truth to a tyrant. Undertaking a quest for truth and justice in order to combat falsehood, deception and tyranny is therefore very much a part of jihad. A majority of Americans, according to most polls, regards Robert Mueller as undertaking a legitimate probe to uncover the truth about potential Russian meddling during the 2016 presidential elections. A substantial segment of the American population is cheering him on, regarding him as a stalwart warrior striving to uphold foundational American values of accountability and transparency so that justice may be served. 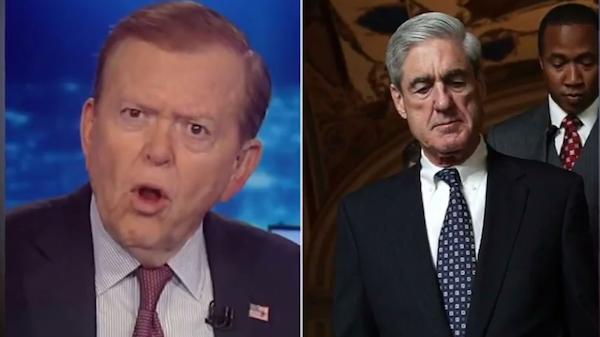 So yes, Mr. Dobbs, based on this holistic understanding, Mueller is indeed carrying out jihad – just not for the reasons you thought. And it is a darned good thing for our democracy that he is doing so. Featured Photo: YouTube screenshot under Creative Commons license.